This view is from the entrance doorway. 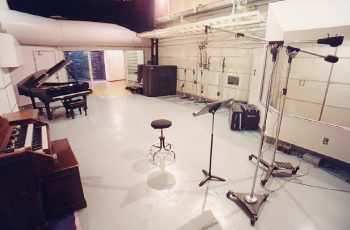 The Iso Booth can be seen at right and the Drum Room is at the rear. 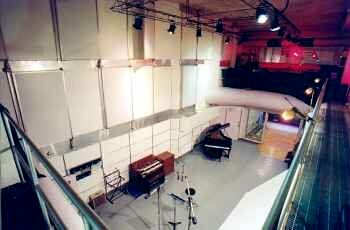 The catwalk wraps around three sides of the Studio B Main Room. 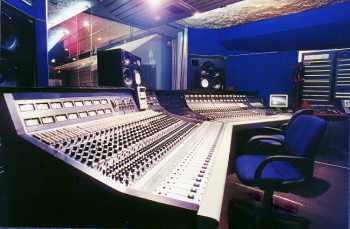 It provides unique opportunities for ambient miking of drums, string sections and more. 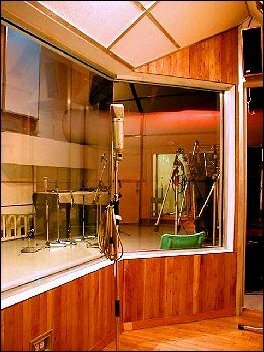 The ambient characteristics of the room may be adjusted with the motorized acoustic panels on the upper section of the wall. 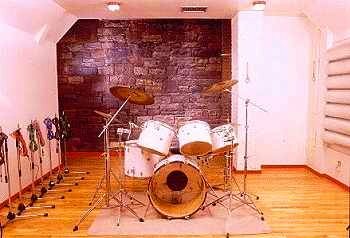 This room, with its stone rear wall (built in 1866), is naturally live and bright; great for big rock drum sounds.Since our Main Room is also great for big sounding drums, this booth is often used for other instruments. 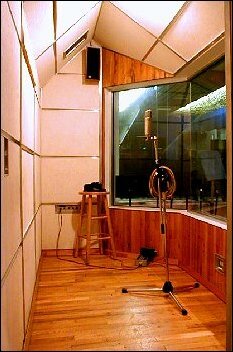 When it is, we usually tone down the acoustics with our special absorptive goboes. 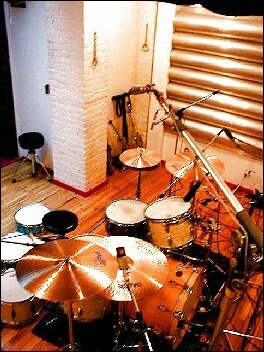 This technique is also useful when a less aggressive drum sound is desired. 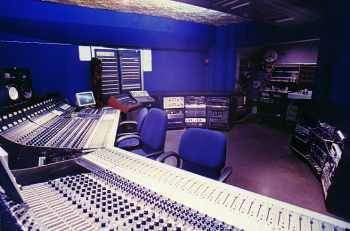 Click on the image for a view of the room in use.